Social networking sites (SNS) have become an ideal tool to develop customer engagement (CE) with brands, leading companies to invest increasingly on virtual communities and CE, using the number of likes and comments as a proxy to measure it. Yet, organizations do not fully understand whether members are really engaged with and loyal to the brand. Moreover, previous studies are not clear on the motivations underlying CE behaviours and on its role in shaping brand loyalty. As such, the aim of this research is to understand what drives customers to engage with SNS brand communities, to relate it with different CE behaviours and to study its impact on brand loyalty. The study concludes that the drivers for passive (lurking) and active (posting) behaviours differ and that these were, mainly and respectively, information and economic motivations. Moreover, Facebook users tend to exhibit more lurking than posting behaviours, with the latter contributing more to brand loyalty than the former. Theoretically, this study contributes to bridge a gap in the literature, since research on CE, its drivers and outcomes is still lacking and is largely conceptual. 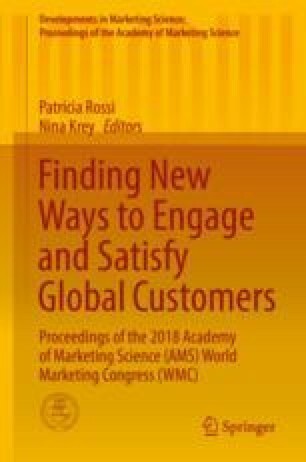 Managerially, this study presents insights to brands holding virtual communities, helping them to define customer-oriented strategies.